With the multitude of choices on the market these days, do you ever wish you could just find a classic, disposable wipe? Well, TIDDOX comes through, again, with their MULTIPURPOSE CLASSIC WIPES ON A ROLL. These are medium duty wipers that can perform better than paper towels for an affordable price. These green towels are perforated with a total of 125 classic wipes wrapped on each 56 meter roll. The wipes are perforated – which is the only way you would get them off of the roll, because they’re not going to tear easily! These multipurpose wipes are designed to cross industries, serving in the hospitality, healthcare, and industrial sectors with equal success. Each cloth is 45cm X 30cm, which makes it big enough to handle most spills and fit neatly into a back pocket or apron. The CLASSIC ROLL OF WIPES is one of TIDDOX’s most economical products and is sold in bulk to keep the cost per wiper down, making it extraordinarily popular in hospitality, aged care and child care where resources are limited, but a need for quality will not be compromised. Since the wipers are in a roll, they are portable and compact without sacrificing performance. These tough towels are super absorbent, soaking up even high viscosity semi-liquids. This makes it valuable in housekeeping where cleaning gels are used. In healthcare, there are often situations in which viscous fluids need to be sopped up. These classic multipurpose wipes is perfect for that. Rather than smearing a mess around it will actually soak up liquids and semi-liquids. INDUSTRIAL CLASSIC WIPES ON A ROLL, ideal for budget-friendly general purpose industrial wiping applications that require a cloth that is tougher and stronger than a paper towel - this cloth is absorbent, tough, and affordable. HOSPITALITY CLASSIC WIPES ON A ROLL, suited to the hospitality industry looking for affordable, disposable cloths, that are good quality, highly absorbent and able to take on various multipurpose tasks during the day from surface cleaning in kitchens, to table and counter wiping by staff, to drying glasses and silverware, to general housekeeping cleaning chores. AUTOMOTIVE CLASSIC WIPES ON A ROLL offers a cost effective general purpose towel replacement for bags of rags! Great for wiping up brake fluid or oil, or for cleaning off your hands, they go in the garbage when you are done. 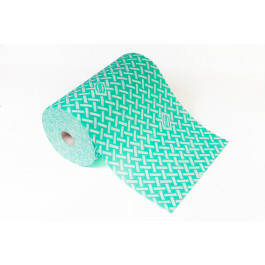 MEDICAL CLASSIC WIPES ON A ROLL, provides medical service personnel and dentist, vets and hospitals with an inexpensive yet substantial disposable towel. The Classic Wipes on a Roll are just the answer, being strong, portable, and very effective in absorbing spills. Each carton contains six CLASSIC MEDIUM DUTY ROLLS. Tiddox Disposables supplies a wide range of wipes, cloths and rags to businesses from every industry, including restaurants, hotels, cafes, bars, clubs, catering venues, aged care residences, child care centres, hospitals, dentists, medical practices, veterinary practices, horse racing and motor racing organisations, garages, car washes, automotive dealerships, workshops, engineering busines, pharmaceutical companies, cleanrooms, electronic companies, printers, painters, spray painters, police, fire and emergency services, mining, industrial, manufacturing and marine businesses.